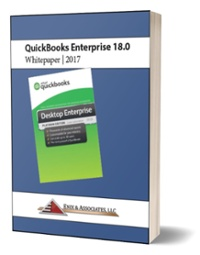 What are the Best Ways to Ring Up Sales in QuickBooks Point of Sale 2013? There are four ways to ring up a sales in QuickBooks POS. The two easiest ways are to click on the "Make a Sale" shortcut button or the "Make a Sale" icon in the Point of Sale sections of the Home page. Once you have your items setup in QuickBooks checkout is easy. You can either use the barcode scanner if you have generated barcode labels for your products or you can type in the item number to add to the sales receipt. Alternatively, you can use "Quick Pick Items" which are used to logically organize your products by unique characteristics or other meaningful categories. Below you can see all of the Baseball Gloves that are in this category. You can also include pictures which we have not included in this instruction. You can easily change the quantities on the sales receipt by clicking on the + or 1 sign for that particular item. If the customer changes their mind you can easily remove the item as shown below. Also the appropriate tax is being calculated and collected in the Sales Tax Payable account for the correct jurisdiction. You can also add discount to items on the sales receipt. Click on the "Qty/Price/Discount" button. You can choose from pre-populated discounts of 10, 15, 25 or 50% or key in your own percentage in the Discount % field. If you want to discount by a specific dollar amount you key that into the "Discount" field. Unfortunately this field does not say "Discount $" which would be more intuitive in my opinion. For Discount Name you can choose one of the pre-defined discount choices or just type in whatever is appropriate like "Labor Day Weekend Sale_2014." You can then report on this specific discount type. You can also split payments up into three different payment types. For example, a customer may choose to use two different credit cards and then pay cash for the balance. This is no problem. You just process the payment type one at a time and QuickBooks POS will handle it for you. If you choose, you can track your sales by Customer as well. Just gather that information at the time of the sale and you can track what the customer purchases by item, style and attribute. This will help you better service your customers in the future. If you use Constant Contact then you?re in great shape. QuickBooks POS seamlessly integrates with Constant Contact so you can target market your customers as you deem necessary. Under Company Preferences you'll find the Constant Contact connection under the Customers section. Once you ring up the sale all of the appropriate information is printed on the sales receipt. This receipt can be customized to your liking and is also useful for returns since you can merely scan the barcode at the bottom of the receipt for accuracy and internal control. I trust this information has been helpful. Please come back often for more Tips & Tricks of QuickBooks Point of Sale!